Easter Bunny | Outlet Shopping Scoop. Never Pay Retail Again. Easter Activities for you and your Family! Easter is this Sunday and if you are looking for something fun to do with your family, then visiting one of the Outlets of Colorado this week is the thing to do. Outlets at Castle Rock, Outlets at Loveland, and Outlets at Silverthorne have something special planned for you and a fun way to enjoy the Easter holiday. Outlets at Castle Rock Easter Bunny Hop (to your house). The center is having an enter-to-win contest where one lucky family is going to have a special visitor (hint, cotton tail and large ears) stop by their home this Saturday (between 1 pm and 3pm) for a special Easter Egg Hunt and Meet & Greet. The Easter Bunny, along with his friends from Harry & David and the center, will be on hand to make the visit a special memory for everyone. To enter your name into the “Easter Bunny Hop to your House” drawing and for specific information stop by Outlets at Castle Rock’s Customer Service Desk in the food court. We will be drawing the one lucky winner on Thursday, April 21, 2011. Outlets at Castle Rock Breakfast with the Easter Bunny. Join us in our food court on Saturday, April 23rd at 9:00 am – 10:00 am where you’ll enjoy a pancake breakfast with the Easter Bunny. Eat breakfast, have your photo taken with the Easter Bunny, get your face painted, have a balloon turned into something totally cool, and much more. Tickets are $5 per person and can be purchased at Outlets at Castle Rock’s Customer Service Desk. Outlets at Loveland Easter Fun. 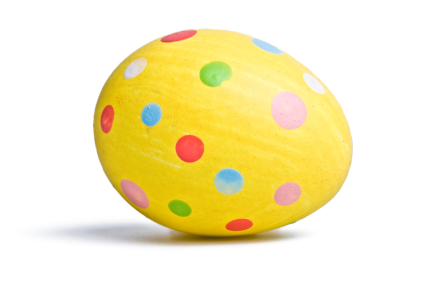 Join the Outlets at Loveland on Saturday, April 23rd from 1pm to 4pm for some free Easter Fun! The event will be held in the Community Room (next to Levi’s). Children can enjoy free Easter Bunny Photos (please bring your own camera), Easter Eggs, and they w ill receive a Coloring Book for attending the event. To make it fun for the adults, the first 100 adults to the event with their children will receive an Easter Egg with up to $100 cash inside! Outlets at Silverthorne celebrates Easter with their new shopping center mascot Thor. Stop by Outlets at Silverthorne Visitor’s Center this week (Tuesday through Friday) from 9am to 4pm and meet Thor. The management team will be giving out Easter candy and special coupons from the retailers at Outlets at Silverthorne. Thor can’t wait to be the Easter Bunny! He wants to show off the new demands (like sit) that he’s learning. You’ll be im pressed with what this little puppy, that was rescued just a few months ago, has learned. If you “like” Outlets at Silverthorne Facebook page they are donating $0.50 per every new “like” to the League of Animals and People of Summit County – a non-profit organization helping pets from low-income homes. If you haven’t liked their yet, do so before May 31, 2011 to help raise needed funds for this great Summit County organization. The Outlets at Castle Rock, Outlets at Loveland, and Outlets at Silverthorne will be open Easter Sunday from 11 am to 6pm. The Easter Bunny is taking a carrot juice break outside in the sun where he lives. If you’re not following his daily antics then you’re missing a lot of fun (and bad humor). I’m following his daily chats and I’m inviting you to join too! 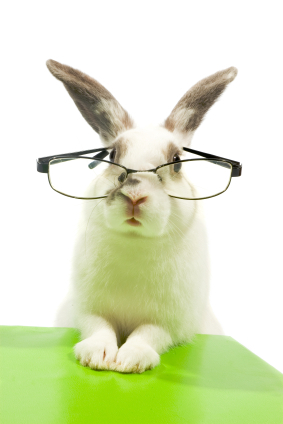 I didn’t know this but the Easter Bunny has an Accountant. 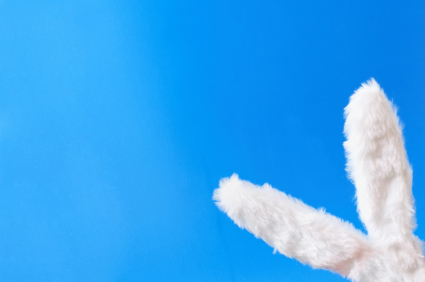 To read more about the life and the daily interactions of our Easter Bunny, check out “Chat with the Easter Bunny” on our blog. The Easter Bunny is a big deal to many. We were in contact with him a few months ago and he’s going to be a writing contributor to our blog. To see his daily antics and read up on the fun he’s having around Outlets at Castle Rock, visit often.